Within about half an hour from her place my Garmin takes me down this very windy and tiny dirt road, not what I was expecting but I seems to be the only road that will take me where I need to go, I see a coupe of locals walking at the the start and they are clearly very surprised to see me there...hmmm, not a good sign, after a few minutes I start a Gopro video as it looks like it's going to get interesting to say the least. The road is made of clay, sand and little gravel and it super slippery after many days of rain, the potholes are all full of water and I am careful to avoid the bigger ones as you never know just how deep they are, could be ankle deep, could waist deep, I've come across both! I'm happy to come out the other end and back onto a sealed road which is a nice ride and the rain is only light and intermittent, thankfully. 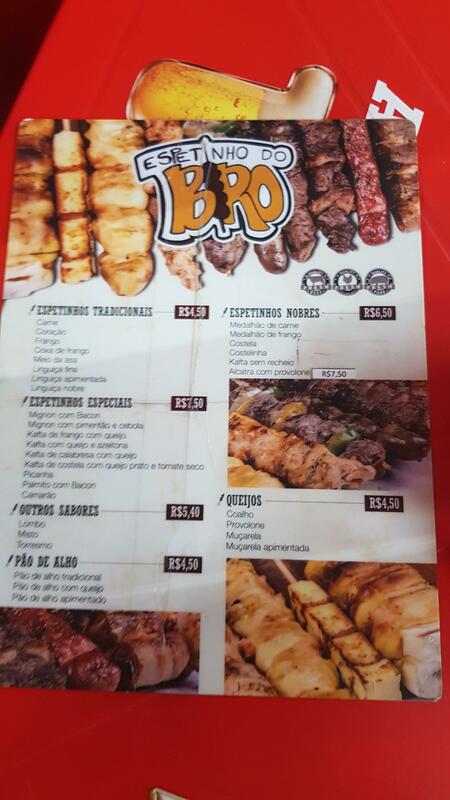 My aim is to get to the city of Sorocaba, a pretty big city about 300kms inland of Sao Paolo and I try to take some minor roads to stay off the big highways and this was a good choice. 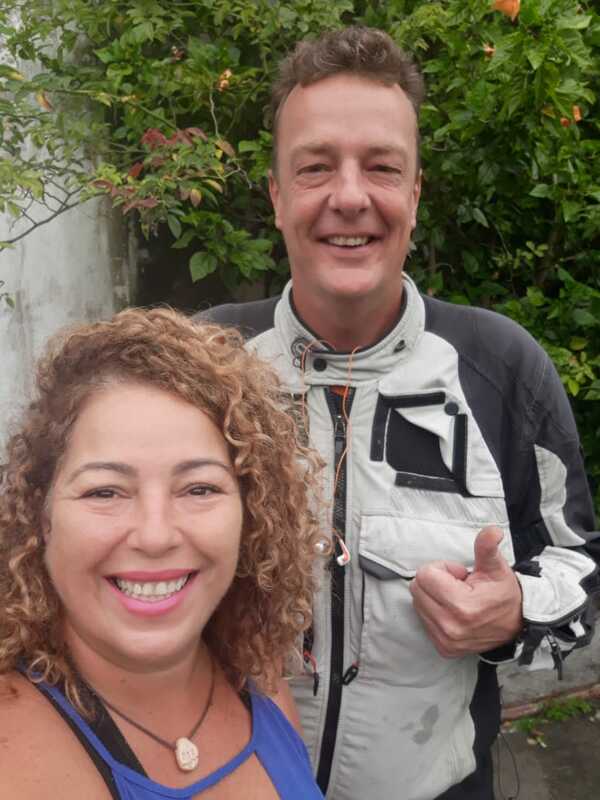 I end up taking route 478 from Juguia to Piedade and I highly recommend this road, probably the nicest road I have ridden in Brasil, winding through the jungle and tiny little authentic towns, beautiful! It turns out be a brand new hotel and very nice, I am the only person there and have the run of the place, they have good parking a great little meat grill place right next door. I figure that this might the only big city I will get to in Brasil so decide to stay for another day and try and get some culture in. The Museum of Contemporary Art is right next to the Historic Railroad museum and the tourist information office in the middle of town so this seems like a good start, the next day the weather is beautiful without a cloud in the sky!! woohoo! I get to the art museum to find it is closed, as is the tourist info office and the railroad museum which is being renovated, even though google tells me they are all open..... hmmmm. So I decide to head into the central plaza and get some people watching in instead. Which I do and which was very nice. Google is clearly having a bad day today as it tells me that the New Zealand office for welfare and income is just down the road ????? WTF google!! Then I wander through the municipal market, which I always love and it is very interesting, this tobacco store had huge rolls of very strong and sweet smelling tobacco that looked like a wet rope. I try to find some other museums but they are all closed and lots of reviews online mention that it's a shame that we are living in a city without culture !! bummer, but I have a nice day wandering around with beautiful weather. Tomorrow I aim to head directly west without a real destination in mind and just see how far I get. I have had loads of issues with the power supply cable to my Garmin Nuvi GPS - a very common issue with this model unfortunately, and it has been a huge PIA, I have now had to find another cable which was hard but fingers crossed I have a better day with it tomorrow. Will be good to be back on the road without the rain suit on, the forecast in this area is sunny for the next three days!! 95Monster, powderzone, SmilinJoe and 9 others like this. While you are in Brasil. Do yourself a favour and order a pizza with "Catupiry" on it. (Cat - oo - pi - ree) I used to order half calabreza and half Catupiry. Catupiry is a sort of soft cheese a bit like mashed potato consistency sort of. I've never had it anywhere else in the world. Delicious. "Una Pizza, Meia Calabreza e meia Catupiry por favor". I lived in Sao Paulo in 1992 for 6 months. It was dodgy then too. Lots of people in cars do not stop at red lights in some areas after dark or the "Ladrao" can come tapping at your window with a pistol. Ahhh, Brasil, such sweet memories. Thanks Trev, I'll give it a crack if I can drag myself away from the buffet livre ! I head out of Socobara in good time aiming to make as many miles as I can in order to get to the real jungly Brasil to the West and closer to the Bolivian border, most of the countryside here is flat-ish agricultural land with straight and pretty boring roads, so I decide to stick to the main drag and just head directly West. Here's a photo I forgot to post the other day of me leaving Sylvia's place without the rain suit on (for 10 minutes). 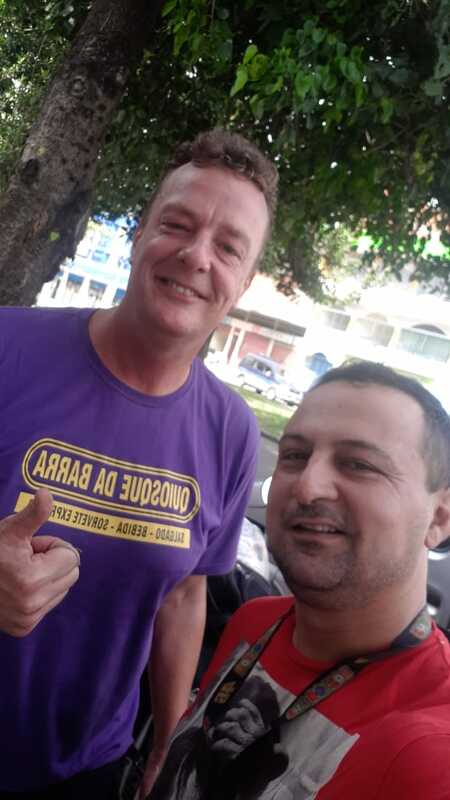 I end up having a huge day and clock up over 500kms in about 7 hours making it to the city of Presidente Prudente, about a third of the way across Brasil. At a stop on the way I figure I'm going to make it there and do the necessary groundwork finding a good hotel via booking.com but just heading there on my own and negotiating a price. I pass through countless toll road booths, the first four or five are free for bikes to my surprise but this soon changes as the municipality changes and I end up paying for another 5 or 6. I have been told that these tolls do not actually have anything to do with the roads and are just a way of each municipality of collecting money that then conveniently goes missing, this is why there are so many, one set for every municipality you pass through...... buggers!! The roads are crazy full of trucks, they are probably the most common vehicle on the road, this I was told, is due to the lack of any kind of rail infrastructure - another victim of a corrupt system. Celby was telling me that recently $400 million USD were set aside to build some decent rail, 10 miles worth were built and all the money was spent, the governor of the state was found to have $200 million USD in his offshore accounts when he resigned, was caught stealing this money meant for the rail road, paid his way out of jail with the stolen money and kept most of it, he now still lives happily in the same state in Brasil enjoying his wealth ...... WTF Brasil!!?? So my riding day was long and boring but at least the weather was perfect, sunny skies and 25 degrees all day, woohoo! I even saw an otter run across the road right on front of me - that was a first. I got to Pres. Prudente but as it was Sunday the entire city was pretty much shut, I end up finding a snack car at the bus station and this would be the only place in town where I can get some dinner. I have a walk around and there is a plaza, but again they disappoint compared to the rest of South America. Even the cathedral, which is huge and looks OK from the outside is kinda tacky and cheap on the inside. The next day (today) and I start the day watching the local news and since I am still in the state of Sao Paulo, it's mostly news from the city, first up - 62km of gridlock traffic jams by 7:30 this morning, then footage of two cars and a bike being high jacked at gun point, two people being mugged and four people murdered, all separate incidents and just what happened overnight, makes me glad to have avoided the place - see Mum - I do have some common sense!! Then off to the standard buffet breakfast which is excellent here, even in a relatively cheap (about 16USD / night) hotel. There are also signs warning of monkeys and toucans, cool! Bring on the monkeys!! There are also a few trees full of what look like teardrop shaped birds nests. As well as the biggest cacti I have seen on the entire trip - easily 10 to 12m tall! The temperature is rising as I get further West and starting to border on the sweltering, it sure is hard to get the weather right in Brasil, it's either raining or sweltering! The Parana river is dammed here and I ride over the dam which is impressively massive. After a pretty relaxed 3 or 4 hours of riding I get to my destination town of Bataypora in the state of Mato Grosso Sul and the start of the Pantanal region - Brasil's jewel of a jungle paradise. The ground here is covered in these termite mounds - at least I presume that is what they are, it also shows off the bright red local dirt. I settle into a simple roadside hotel and book an AirBnB for tomorrow in a town about 3 hours West of here and then give the bike some more love - oiling the chain and adjusting the infamous KLR doohickey. Another buffet dinner at the roadside eatery for just $6 USD and chilling with a movie in my nicely air conditioned room. All is good at the start of the real jungle! roadcapDen, Halen, 95Monster and 10 others like this. Me being pedantic here. I've just looked up the cat family - Onca is a jaguar (Panthera onca), puma or cougar is a different genus (Puma concolor). I really enjoy learning new stuff from ride reports. Thanks Normlas. DavidM1 and powderzone like this. It was OK but nothing special and the magic catupyri cheese was like a tasteless and greasy mozzarella..... that is 0 for 1 against the catupyri Trev! I have a pretty rough nights sleep being kept awake by mozzies, trucks and a lunatic dog and am up early the next morning to head on down the road to the much-anticipated and raved about town of Bonito. The road is thankfully a bit more interesting, with jungly bits, rivers and a few corners and hills. I roll through the town of Jardim, which was also recommended to me and it looked like a pretty rough little agricultural town with just farmers fields all around it, made me hope that Bonito would be nicer for sure! 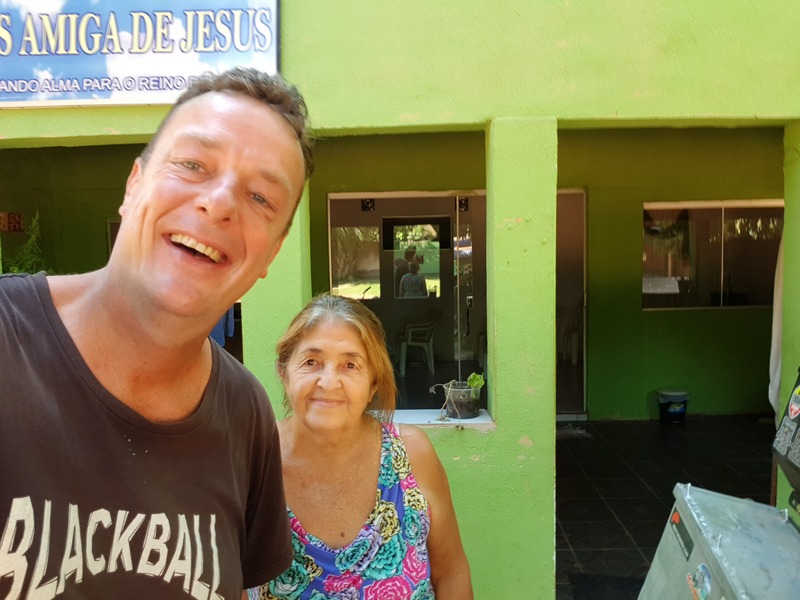 I had also been warned by many that Bonito is a very touristy town and crazy expensive, a quick check on booking.com the night before showed this to be correct with a dorm bed in a hostel started at $30USD and a private room around the $80USD !!! Whaaaaaaatt? I was happy to find an AirBnB right in the middle of town which was surprisingly cheap at about $12 a night including breakfast, hmmm, should be fine aye? I book it but the owner doesn't confirm the booking so I can't get the location, I finally roll into Bonito and it is a nice little town in the jungle but still no confirmation, and it's hot, stupid hot, my phone says "35C, feels like 39C", that's about 3 jaguars worth of Fahrenheits. Needing to kill some time I find myself a rather average buffet livre at the reasonable price of around $6 and chow on down waiting for Paulo to confirm my AirBnB, I send him a bunch of messages on AirBnB but to no avail. I finish lunch and am melting down in my riding gear and right at the point of cancelling the booking and going to play the hotel game he finally gets back to me, confirms the booking and I get his WhatsApp number so we can communicate. Not just any church - a home run evangelical one!! But yep - this is home for the next few days, a little church run by his mum and the "chapel" is directly next to my bedroom. But at least it is sparkling clean, the room is fine and his Mum, Donna Marie, seems lovely. Exploring the town and the warnings I got about the price of things is totally true, it's famous for its rivers but they are all privately owned and you have to pay to visit any of them, the cheapest place to swim is the municipal swim hole at a staggering $15USD for a swim - in a river!! WTF! I ask Paulo for a local swimming hole, surely there's a free place to take a dip, but nope, the municipal is the cheapest, but if you want to swim in a 'nice' place, the cheapest is $50USD !!! OMG, they are clearly not aware of my Dutch roots so I take control of the situation and my mission seems clear - to find a place to swim for free, I check Ioverlander and see that most other travellers are shocked at the price of the place and one guy says he found a bridge over one of the 'nice' rivers where you can swim for free - cool, I'm off ! It is still stupid hot so I am forced to ride in safety shorts and jandels and head up a dirt road into the jungle to find this bridge, which I do but there is now a sign there saying no swimming or entry - private property! Bugger, but the sign is on the right hand side of the bridge and the dirt bank on the left side has no sign, so I clamber down and jump in the river - yes!! It's deep and very fast flowing and I feel a few leaves brush past me and say to myself repeatedly, it's just leaves, it's just leaves...... trying not to think of all the things that could be lurking in this amazonian river. After a few minutes my nerve gives out and I hopp out feeling pretty satisfied over my sticking it to the man :) and head back to my church. Donna Marie then tells me that the service will soon start and I am welcome to join in, hmmm, yep, ok, not really my thing. Thankfully Paulo texts me just in time to say there is a fierra in town (party/market/festival type thing) and seems like the perfect out so I'm off into town. Lots of food stalls and a band and a menu with a "burger catupyri" - OK, one more go Trev! And that would be 0 for 2 against the catupyri, just greasy and tasteless... But it was a fun night and people were clearly very into the guys playing some pretty cheesy sounding Brazilian music. At least the beer was cheap and cold! And there were a few pretty authentic looking Brazilian gauchos who looked like they had just gotten off their horse. I get back to my church to see the meeting just breaking up, I settle on the porch to have a few quiet Cachacas in the (relative) coolness of the evening and hit the sack tired after a long and interesting day. The next day and after having visited the local tourist agencies and being told that I need to outlay at least $50 for a swim but more like $150 USD for a nice swim with lunch, I again make t a mission to try and beat this closed mafia-like system. Back to Ioverlander and I find a camping close to town right on the river and charging just $10 USD to camp the night with lots of nice reviews, so surely just a visit for a swim and a chill by the river should be even cheaper right? I head out on yet another bright red amazon dirt road into the jungle and find the camping and it's beautiful, and there is no one else there and the owner says - yeah sure make yourself at home, just give me $5 and stay as long as you like - win #2!! I have the place to myself but as I settle in to my chair the mozzies attack and they are many and they are ferocious, best thing for it is to jump into the river and it's lovely - a perfect temperature and nicely fast flowing clean water full of fish. Within 2 minutes something bites me in the water and I scream like a little girl, and again, and again, seems the fish are hungry and will nip at anything living - great! It doesn't take me long to work out that the biting fish don't like the fast flowing water as as long as I stay in the middle of the river all is good. I end up spending about 3 hours in the river, walking upstream and jumping in and letting the flow take me down and have a great time. I am constantly looking our for monkeys and jaguars which are supposed to be around here but unfortunately don't see any, but I do see lots of colourful parrots and huge butterflies. On my walk up the river I come across these three relatively fresh tracks, given how most things here seem to want to take a bite out of me I am thinking, man eating jaguar, ebola riddled monkey and a rabid wolf probably. Maybe someone reading this can confirm and let me know if I need any other shots or to call my loved ones and say good bye?? I also spotted this cool nest made of clay up in the tree and nothing came out of it and tried to have a go at me so that was good. After a super nice and interesting albeit dangerous day I return to the town centre to do some shopping. And to my church and Donna Marie who has baked some fresh bread and chocolate brownies - yum !! I also get my washing done and an update - voila ! Tomorrow I aim to head to the border town with the Bolivia about 4 or 5 hours away, should be a pretty long and hot day. For the first time in a long time it feels like I am heading home, and it feels very strange, I'm not sure I like it but I'm going with it, I have a ticket with a date and I need to get to Santiago in the next 6 or so weeks. I hadn't had any serious interest in the bike yet and that worries me a little, I dropped the asking price by $500 yesterday to $3500 and immediately got some interest so that is good. All is good in Southwestern Brazil, but damned hot ! Onwards and Westwards! fasttortoise, roadcapDen, 2hardgiveup and 10 others like this. You could’ve fed a lot of ‘em. just curious, did you ever need the extra gas in the gas can? MrKiwi, powderzone and 95Monster like this. cool, i was thinking about getting one, making a trip south in may. thanks for your picts, inspiring. I leave Donna Marie's chapel in the morning heading West once again towards the Bolivian border town of Corumba. Here she is seeing me off in the morning after another excellent home baked breakfast. It turns out that the Pantanal is the largest wetlands on the planet and I ride through many hours of swamp. And a few fitting warning signs. There were a couple of little alligators/caymans dead on the road and being devoured by flocks of vultures although I did also get to see some live wildlife this time, including a capybara - something like a guinea-pig/rat thing the size of a very large dog, a toucan almost hit me in the head as well as lots of parrots, a couple of macaws and some very large stork like birds of varying colours. Here are some shots from along the side of the road. Border towns are usually pretty dodgy places and best avoided for overnight stays but Corumba has a good reputation and there's really little else on the Brazilian side. Ioverlander has a reasonable sounding hotel near the edge of town and I check in without issues but am engulfed by hordes of misquotes - never seen anything like it and even the locals were complaining, apparently they've had loads of rain over the last few weeks that has brought them all out. A couple of relatively mad older women are running the place and they are eccentric to say the least. But the view over the Pantanal and the river Paraguay is beautiful. 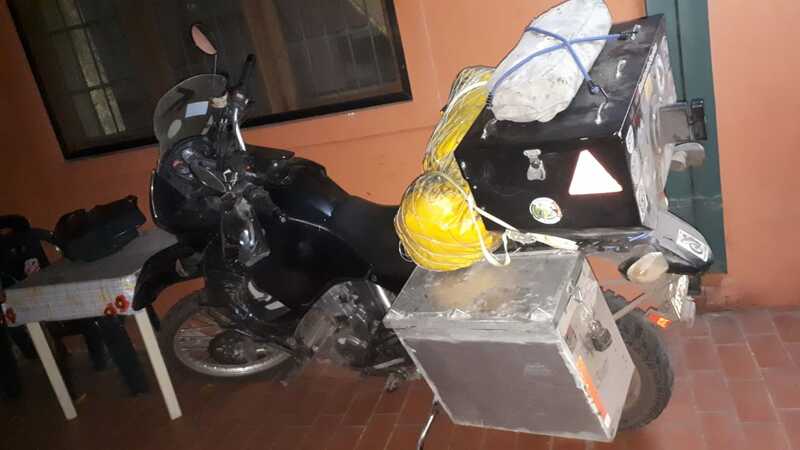 Once I get settled I head back into town to do some shopping for dinner and get my reals changed to Bolivianos, it's always nice to have some local currency as soon as you arrive in a country and one less thing to do on the border in full riding gear. The forecast for the next day and the next week is lots heavy rain, up to 10mm/hr, so I'm not sure if I am going to be able to leave but will make a call in the morning. In the morning the skies are dark and threatening but I think, what the hell, just go for it, I certainly can't afford to wait here a week for it to dry out and so I head off towards the border, just 5kms down the road. It's a bit of a confusing setup but I eventually find the right line to exit Brazil and it wasn't too slow, about a 20 minute wait before I get my passport stamped out. Then off to the aduana to get the bike TVIP cancelled and they tell me the computer system is down and to come back at 7pm tonight!! Whaaaat! I tell them that I don't need anything from them other than to give them my TVIP and have them cancel it when they are back online, it takes some convincing but I finally just drop the forms on their desk and leave and nothing more is said. The Bolivian side is relatively straight forward and I am through the whole process in about an hour. So I did take a wee risk entering Bolivia with an empty fuel tank knowing they have this stupid international petrol price thing and that some service stations simply won't fill a vehicle with international plates at all. But the fuel is much cheaper than in Brazil at the local price of 3.5 B/L and the international price is only slightly more than Brazil at 9B/L. Luckily I drive into the only service station in town and the guy immediately offer me fuel for 5B/L, in the past Steve and I have usually negotiated to 6B/L so I am happy with 5 and get fuelled up and on the road. It's great to be back in Bolivia and I am immediately engulfed by the third world feel which I love, and everyone speaks Spanish so it's great to be able to communicate without the cellphone again. The skies also lighten up and I thankfully do not get rained on at all !! woohoo, win!! After a 4 or so hour ride through the jungle I end up in the little town of Robore which is really nice and remote but big enough for me to get my stuff sorted, new SIM for the phone and some shopping and pharmaceuticals which are ALL over the counter here. There's even a nice little cathedral. My hotel is right in the middle of town and is clean and new with aircon and only about $15 a night so all is good, the next day I wake to dark skies soon followed by heavy rain which makes my call an easy one - chill day! A quick tour of the town in the evening shows that the local police station got burned down recently - must be a good story there! And a Bolivian styled transformer motorbike - rubbish bin - cute! I also get myself added to the MAI Bolivia group and make contact in the city of Santa Cruz where I will probably head to tomorrow, weather allowing. And the big news ........ I have sold the bike !! woohoo, an Ozzie guy called Haydon got in touch with me through Horizons Unlimited and wants my girl. He is coming to Santiago in July so we'll have to sort some storage but that is great news and big load of my mind (and his). He's really enthusiastic about the bike and his upcoming trip and reminds me fondly of when I started my adventure almost one and a half years ago. All is good in South Western Bolivia, except that it's hotter than a Delhi whorehouse!! XR Valdeez, SmilinJoe, Junipertravels and 11 others like this. Good news on the bike front. So I have to keep following this ride report until July !! I'm still following along on your adventure, great news you sold the bike. “buy the ticket, take the ride” perfect.....HST..
Yep, and when it rains...... I've had two other offers within a couple of days but am going to stick with the first guy even if he is an Ozzie, seems like a good guy ! No worries Trev, to be fair, I tried a catupyri pizza as well and it was also a bit average, but it was a cheap pizza, never the less, three strikes and the cheese is out ! One of my fav quotes of all time ! Lots has happened, big update to follow. trevgale36, HiJincs, Tijuana_Taxi and 1 other person like this. Robore was a nice and gentle re-introduction to Bolivia, the place just feels so relaxed, primitive but safe and interesting at the same time. 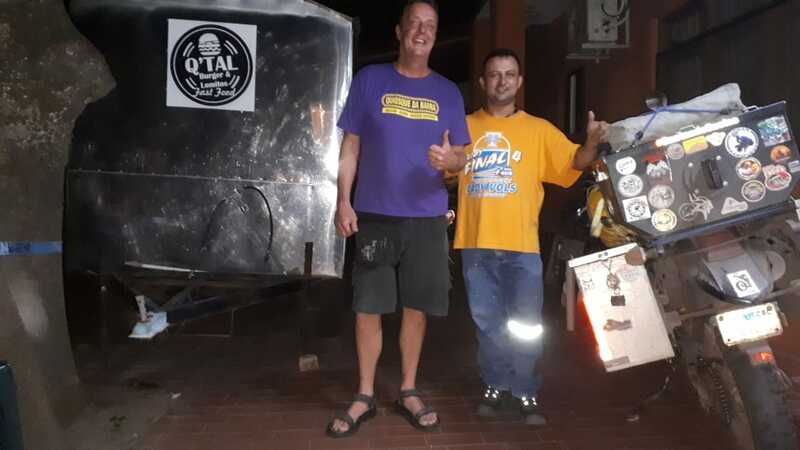 I leave in good time and hit the road towards the big city of Santa Cruz, the second biggest city in Bolivia (I think), and the ride is beautiful, I sweep through mountain ranges and jungle on excellent and empty roads, thankfully the trucks of Brasil are gone. 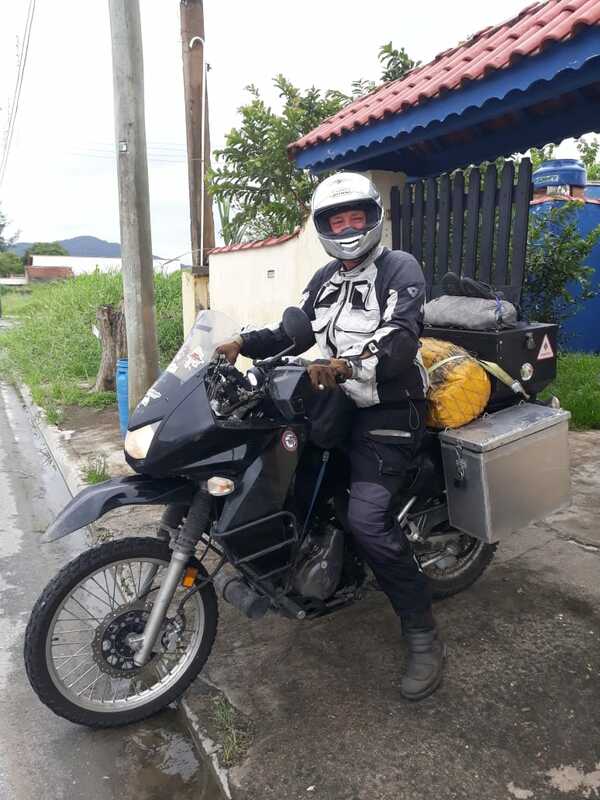 I've got a pretty big ride in front of me at about 5 hours in the saddle and just over 400kms, I've made contact with Miguel in Santa Cruz through MAI Bolivia and he is expecting me in the late afternoon, we're in contact throughout the day as I give him updates as to my progress. Unfortunately he doesn't have room at his place but will take me to a good hostel in the city. This huge red rock is the highlight of this region and famous apparently. I manage to negotiate more petrol at 6B/L instead of the tourist price of over 9B but it took some effort this time, at a lunch stop I notice there are lots and lots of very Germanic looking people around all wearing pretty much the same type of dress, dark blue work pants and striped shirts for the men and long black dresses and little hats for the women, turns out they are Mennonites and there are over 60,000 of them here! They look a little Amish to be honest and don't seem at all friendly when I try and start up a conversation, rather recluse and they treat me suspiciously, as opposed to the local Bolivians who are always interested and up for a smile and a chat. Seems some of these Mennonites came here over 100 years ago and started 'colonies' and live a simple farming life, kinda like the Amish I guess.... They also practise some sort of offshoot of Christianity which they are pretty big on and mostly speak a very flat version of German. I can understand high-German OK but I only get about 30% of what these guys are saying. No pics as they just seem to unfriendly and defensive and I've tried to interact with a few now. So there I am on the side of the road in butf$ck nowhere Bolivia with a broken chain, it's 36 degree and 95% humidity....... I see that the clip has failed and is gone and I am pretty sure I don't have a spare. I rock up to a nearby house and ask for a mechanic and he points me down the road, telling me it about 1km..... So off I go pushing the fully loaded bike along the side of the road losing many litres of sweat and dropping the bike - awesome ! OK, so on I push and finally get there after almost flaking from heat exhaustion, I wake the mechanic from his siesta and he agrees to help and he tries but his chain clip won't fit my big DID chain... excellent. Then I remember my spare old chain which has a clip on it and dig it out of my pannier, we swap the clips over and I am back on the road, about 3 hours and 3 litres of sweat later. It's unusual for those clips to fail and I wonder if the home made chain slider me and Celby put on the bike had anything to do with this failure, the chain itself looks good and strong and not at all stretched out. I had let Miguel know what was going on and he came to my rescue but we missed each other and I ended up in the city on my own before I realised. He sends me the directions to the hostel which turns out to be crazy expensive, 180B for a single room with no bathroom, but I am in NO mood to play the hotel game and settle in. After a little while Miguel turns up to say hello - super nice guy. We go out for some dinner with his son and return to the hostel for an early night after my big day, unfortunately, the place it full of drunken 18 year olds and they party and keep me up till the wee hours - I am not a happy camper. Miguel turns up in the morning to help me get the chain and chain slider replaced which I want to do just to be safe, but first I check into another hotel. The we head out and he takes me to Kawasaki but they want 65USD for the chain slider which should be about half that and so we shop around and try and find an alternative. I get a nice new DID chain fitted but we failed to find an alternative for the rubber chain slider. I get in touch with a local group of KLR riders who also go to task to try and find me a better price for the slider, seems the police here use KLR and I get some info on the mechanic they use. Going to split this into two posts - more to come soon! fasttortoise, roadcapDen, powderzone and 3 others like this. While I wait for news from the KLR group about the slider I walk into town to check it out, and it's a really nice Plaza de Armas, with a great cathedral. Lots of people chilling in the plaza as I get a coffee and join them for some chillaxing and people watching. This dude must have lost his horse? I spend a few hours just wandering around the soaking up the atmosphere - I really like Bolivia, my kind of country and a nice change from the first world countries I've been spending the last few months in. On the way back to the hotel I find a great little restaurant out of someone's back yard and have an excellent meal for just 15B or about $2USD, BBQ steak with rice and cheese, platano, salad and local potatoes - yum! Turns out my new hotel is also a bit of a dive and I have another rough night...The forecast is for heavy rain later today and all day tomorrow so I'll be here for two more night at least and need to find a better place to stay, I get on booking.com and find a great looking B&B for just 180B for two night (about 13USD / night) and head there first and it looks great. And here's the brand new chain slider fitted to my very dirty bike. So with a new chain slider and new chain I should be good to go for many 1000's more miles and hopefully not have a repeat performance of the day before yesterday. Feeling rather pleased with myself I return to my very nice B&B and relax before heading out to the local market for some supplies for the rainy day tomorrow. I do love a good market and they don't get much more authentic than the Bolivian ones. And everything is super cheap, I walk away with a huge bag of fruit, a selection of fresh breads and a bottle of whiskey and spend less than $8 USD. So all is good again after a bit of stress and effort and I am planning on a chill/rainy day tomorrow and not sure where I'll go after that, I have just heard of a nice road to the West of me, not really on my way but close enough, so I'll just see. XR Valdeez, fasttortoise, Meatn'taters and 14 others like this.